What is a Spirit Night? Spirit Nights are outings where teachers, students and their families get together outside of school at a local business to bring a night of fun and fundraising. The host donates a percentage of sales from the event to the LPES PTA. ... 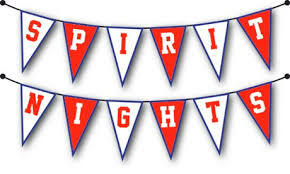 Spirit Nights are a great way to support our school.